Britt'ny Dove was a bride who knew exactly what she wanted and how she wanted to look on her wedding day. 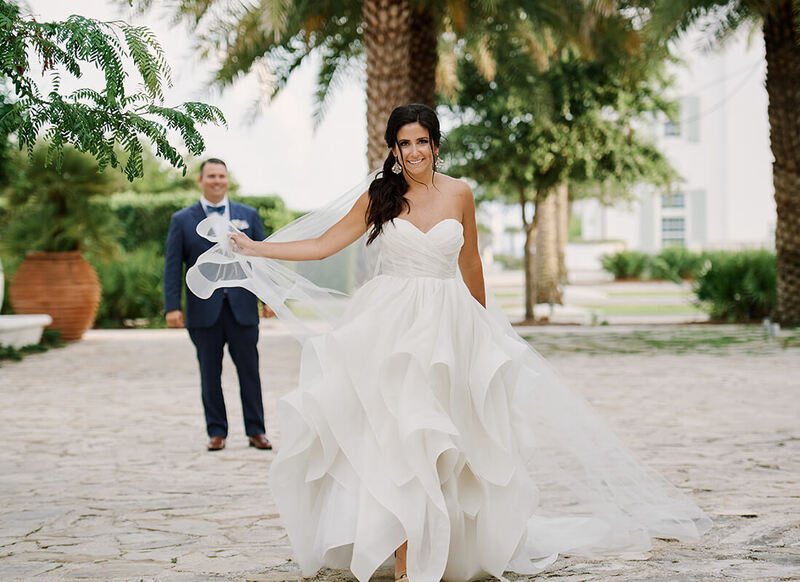 On June 11, 2016 Britt'ny got just that when she married the man of her dreams, Brendan Dove, on Alys Beach, FL, in the gown of her dreams. Going to Kleinfeld Bridal had become a sort of tradition for Britt'ny since her older sister had found her wedding dress there as well. Therefore, Britt'ny knew that this was where she wanted to begin shopping for her dream gown. 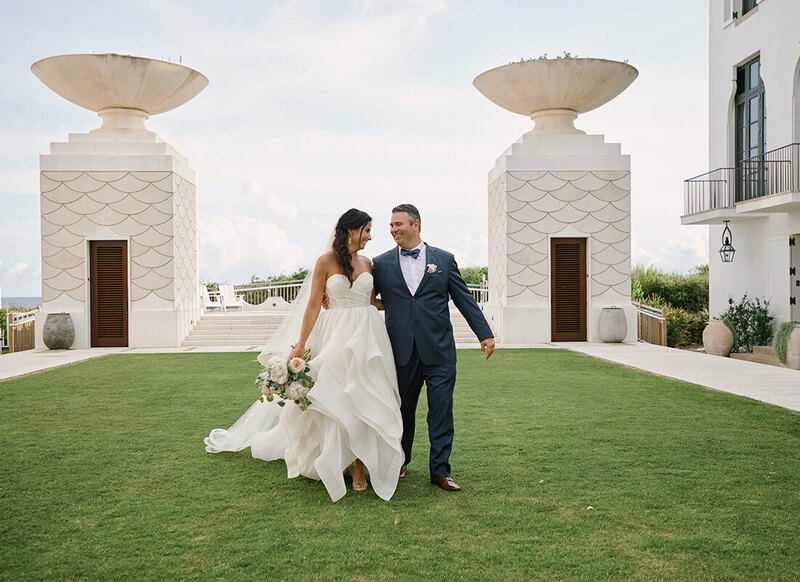 With her gorgeous beach wedding venue picked out, Britt'ny was looking for a gown that would be perfect for her and look appropriate in her selected destination. While Britt'ny didn't have a certain dress style in mind, there were a few key characteristics that she was looking for in her ideal gown. 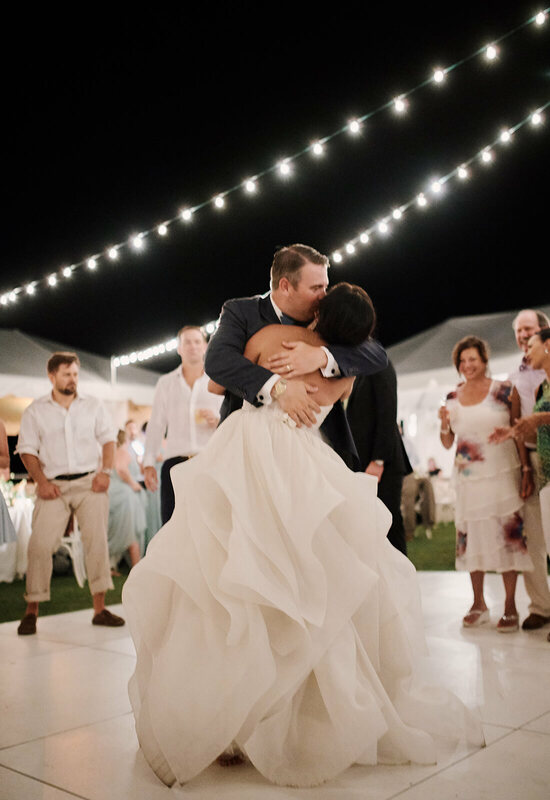 Since the destination played a key role, Britt'ny was looking for a light and airy gown that wouldn't be too heavy for her beach wedding. Also, a huge fan of photography, Britt'ny wanted a gown that some natural sunlight could pass through for truly captivating photos. Lastly, this gown had to be a stunner! Even though it was a beach wedding, Britt'ny wasn't looking for something casual on her special day. With these criteria in mind, Britt'ny began trying on gowns. The first gown was gorgeous, but didn't fit her beach setting. 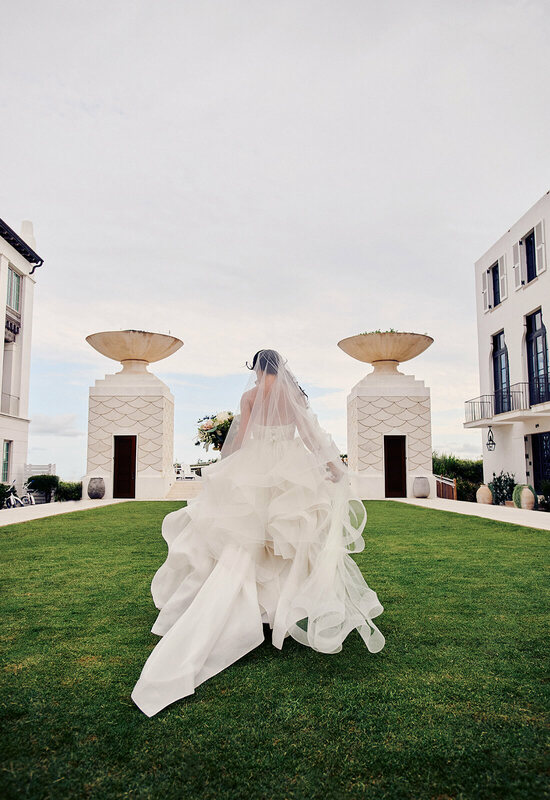 Next, Britt'ny slipped into a whimsical Pnina Tornai gown and instantly fell in love. Completely enamored with the gown, Britt'ny walked out to show her sister and mom and was immediately met with tears of joy. Britt'ny's mom even went so far as to request that her daughter not try on any more gowns because she was convinced that Britt'ny had found the one! 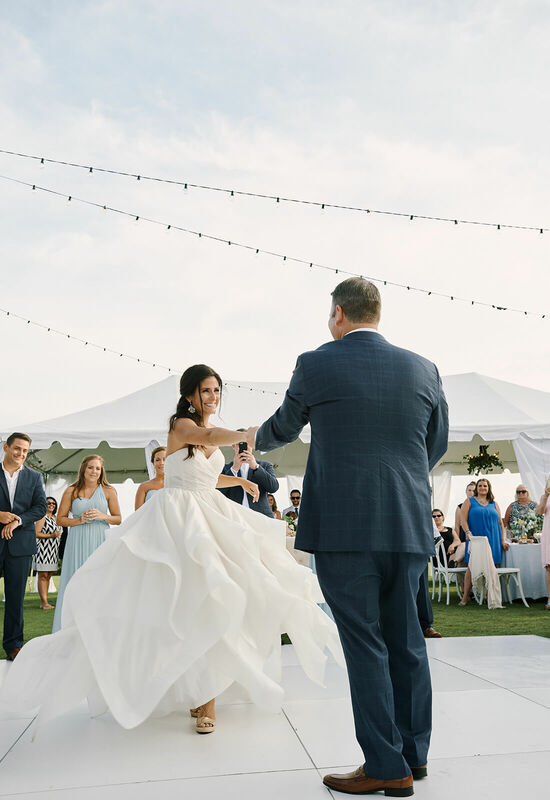 The gown Britt'ny and her family had fallen so head over heels in love with was an enchanting handkerchief ball gown with a sweetheart neckline and cascading layers of organza. The gown checked off every box that Britt'ny had for her dream wedding dress. 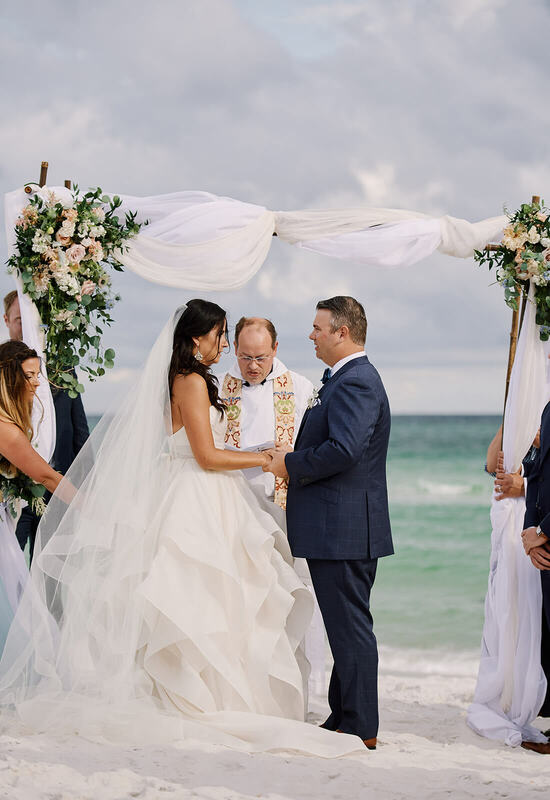 The light and airy layers of organza were perfect for her beach setting and allowed her to be comfortable because of the breathable nature of the fabric. The breathtaking layers were also exactly what she was looking for, allowing light to pass easily through the gown without being completely see-through. Even the way that the gown moved had Britt'ny smitten. 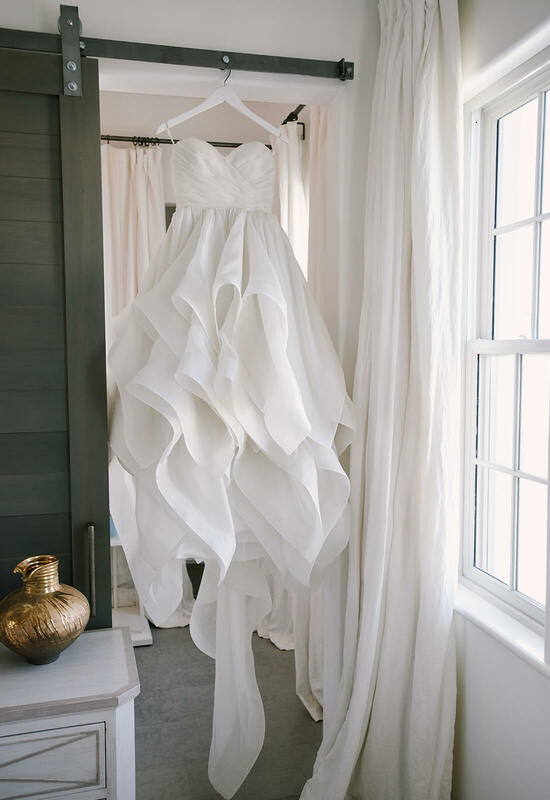 Loving the way that the soft layers mimicked the rolling ocean waves, there was no doubt that this gown was perfection all around. Britt'ny even had more layers added to the back of the gown so that the gown's train reminded her of an octopus' tentacles! Britt'ny and her mother loved this visual idea for the back of the gown, which turned out lovely in the end. 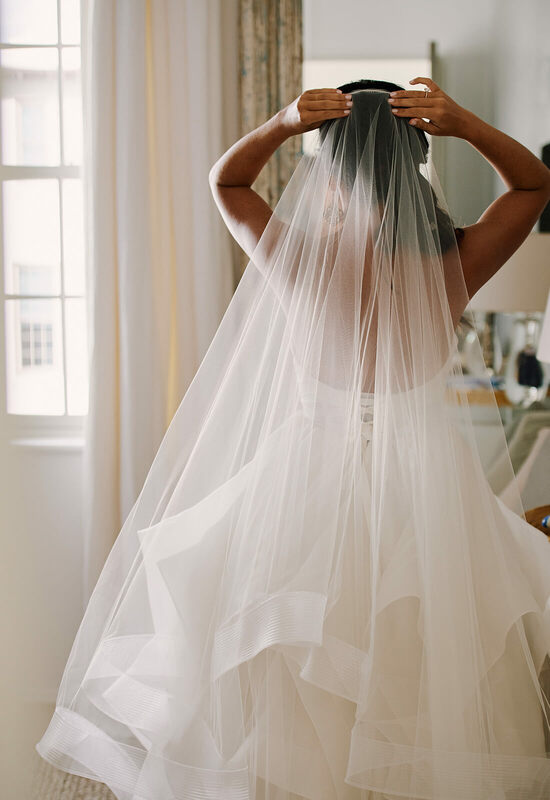 To complete the look, Britt'ny wanted a veil that perfectly matched her gown but didn't cover it up at the same time. Using the same material that the gown was made out of, Pnina made a custom a veil for Britt'ny that mirrored the flowing layers of the gown. 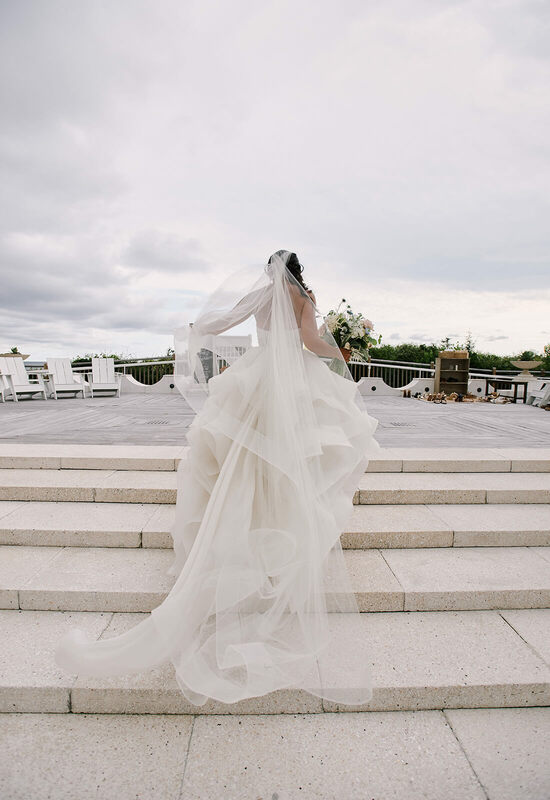 The gown and the veil came together to make a visually stunning pair. The only thing left for Britt'ny to choose were the little details. For her special day, Britt'ny opted to wear her hair in a side ponytail complete with soft beachy curls. Drop earrings were her accessory of choice, which hung beautifully and complimented the sweetheart neckline of her gown wonderfully. 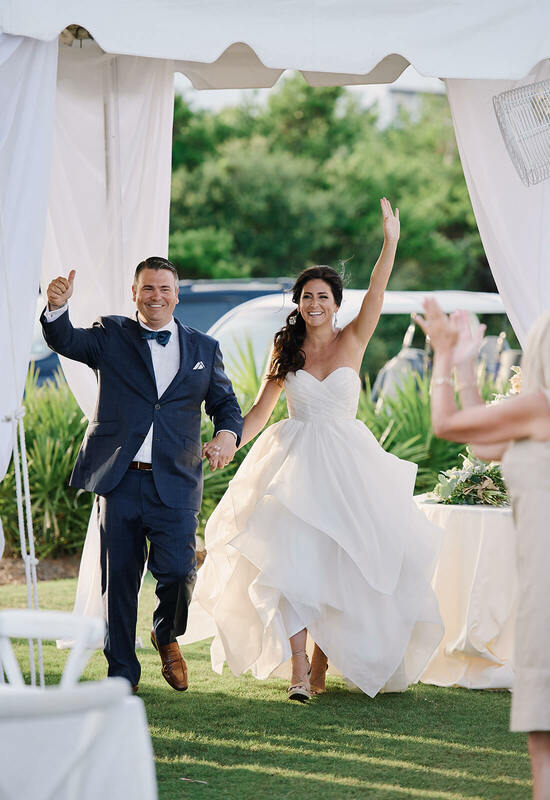 Lastly, since her gown’s hemline allowed for her shoes to show, Britt'ny decided to wear a gorgeous pair of golden wedges as she walked down the aisle. 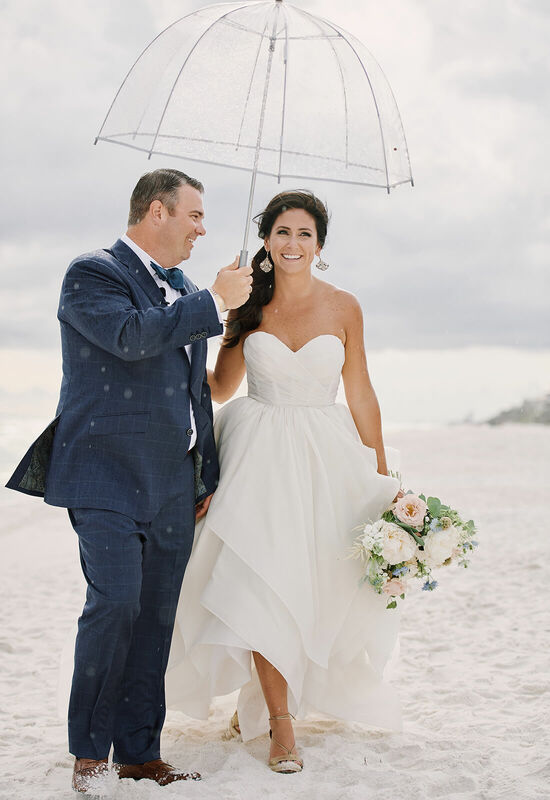 Despite the wedding being on the beach, Britt'ny did not want to be barefoot on her special day and the wedges provided her with the support she needed to make it down the aisle and into the hands of her true love. 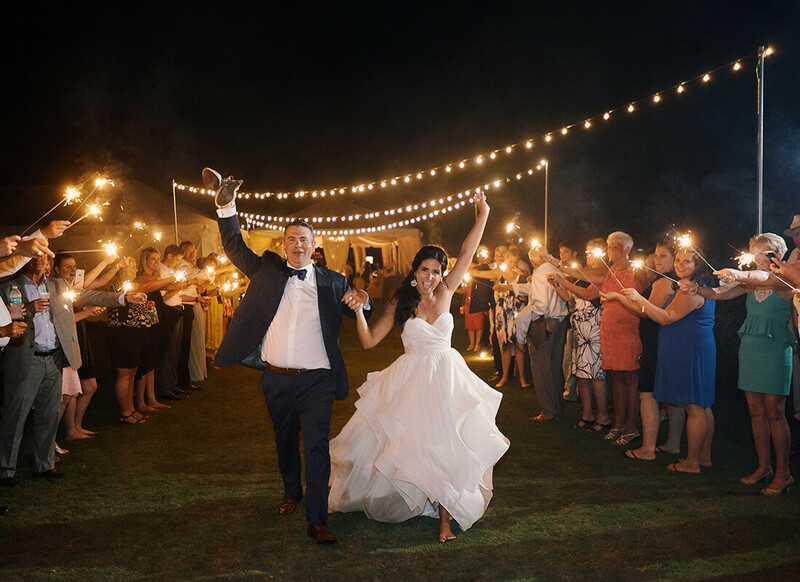 For Britt'ny, all of her wedding dreams were coming true. 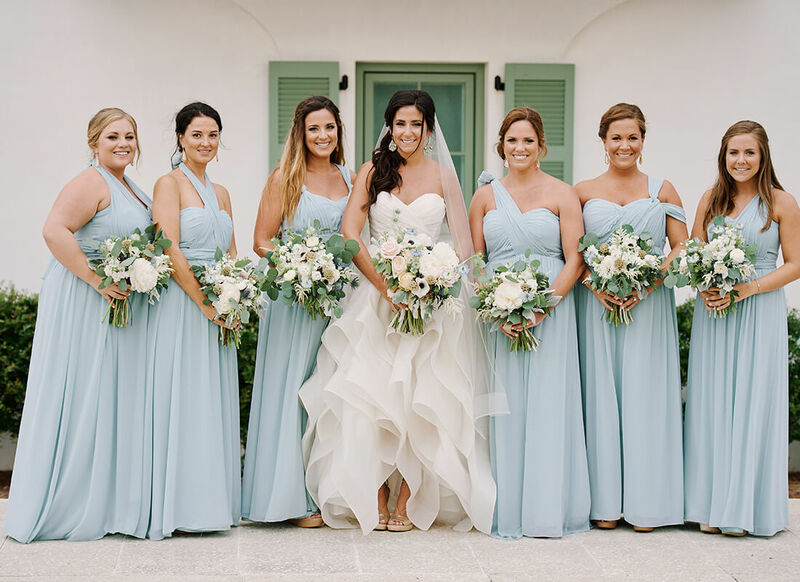 Dressed in her stunning gown, Britt'ny was a captivating bridal vision on her wedding day. Everything had come together just as she had wanted and Britt'ny could not be more delighted. While she may not have been able to wear the gown forever, here's to hoping that her love lasts forever!